Shopping for Black Panther Statues? 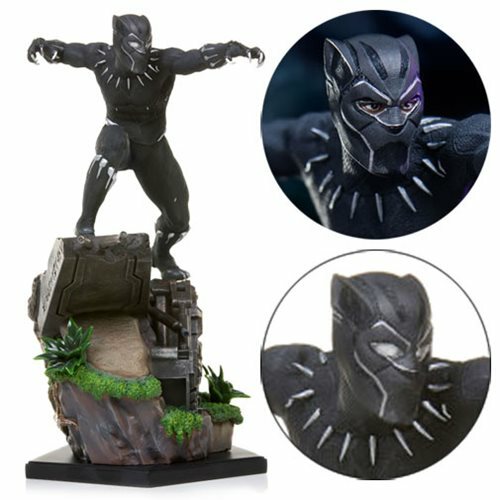 Based on original 3D references from the movie Black Panther, this Black Panther statue is a must have for Marvel Comics fans! The Black Panther Black Panther Battle Diorama Series 1:10 Scale Statue is made of polystone and is hand painted. Combine this statue with the other Black Panther battle dioramas series statues to create the ultimate dynamic battle scene! Measures about 10 1/5-inches tall. Ages 15 and up.